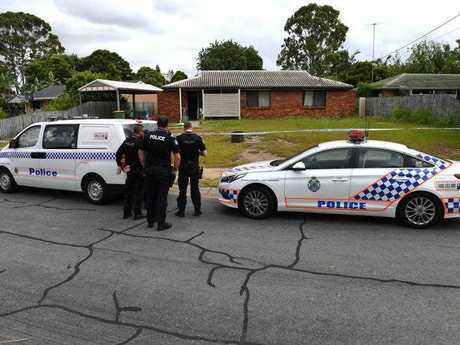 THREE children have been left orphaned after their parents were found dead in their house at Eagleby, south of Brisbane. Police made the discovery after they were called by a neighbour to the Francoise St address about 1.15pm on Monday. Simone Whye, who has lived in the street for 18 years, said the couple hadn't been seen in a few days. She said the incident "was out of sorts". "They had three young girls they've left behind," she said. It is understood the couple had only lived in the property since October. While Ms Whye said she didn't know them well, she kept an eye on the house. "They were very quiet, very friendly people," she said. It is understood the couple hadn't been seen since Thursday night. Their three girls, believed to be aged 15 months and four and five years, were not living with them at the time, according to another neighbour in the street. A crime scene remains in place at the property. premium_icon How did this young couple come to die, leaving kids orphaned?